Chad Stranlund grew up in Savage, MN. He is a graduate of Minnesota State University, Mankato. He began his career in the financial services industry in 2008 and since 2012, has been the Regional Vice President for The Bailey Group where he supports lenders and borrowers by expediting the placement of collaterally assigned life insurance required by the SBA loan program. 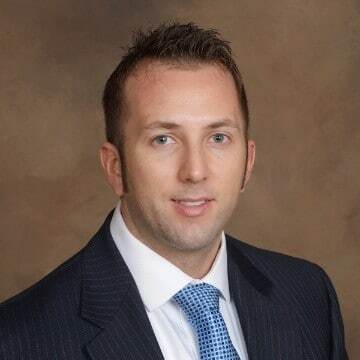 His years of experience and industry knowledge allow him to help educate individuals, families, and business owners in a simplified way about the complex ever changing world of investments and insurance so they can make the best decisions for their unique goals, objectives, and circumstances. His approach starts with a discovery meeting to gain an in-depth understanding of your situation and goals in order to develop an initial plan and strategy followed by implementation and ongoing service to help modify and adapt to your changing needs and wants. Chad is dedicated to providing his clients with the best options regarding retirement and tax planning, investment management, and insurance while not being limited to companies or types of solutions available to him. Outside of his work, Chad enjoys spending time with his wife Ashely, family and friends. He is an avid outdoorsman and motorcycle enthusiast.